I facilitated a lean user experience design process within Mikva Challenge, a non-profit organization focused on youth activism and teacher development, to address growing need for a way to educators with one another as the organization expanded to serve a national audience. Mikva Challenge is a national non-profit whose mission is to support youth in building civic leadership skills to promote a just and equitable society. While Mikva Challenge primarily serves young people, it also has a strong educator program and provides teachers across the world with tools, curricula, and coaching supports to implement a form of pedagogy known as action civics. I partnered with Mikva Challenge to design a digital platform that would help them better serve their widespread educator base. Develop a clear understanding of the goals and needs of Mikva Challenge's educators, with respect to how they engage with Mikva Challenge. Find a way to more readily distribute Mikva's new and existing curricula and lesson plans to its network of teachers. Cultivate a professional network of action civics practitioners to share ideas, tools, strategies, and classroom exemplars. 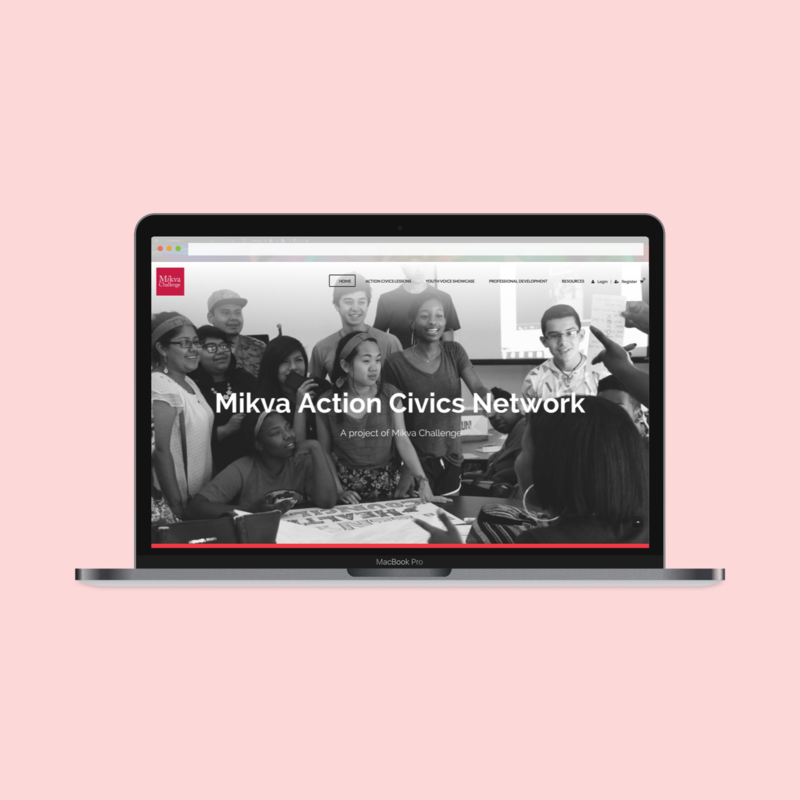 Mikva Action Civics Network launched in February 2016, and has since engaged K-12 educators across the United States. After the portal publicly launched, I continued to solicit user feedback and input on the portal and continued to iterate the product as the needs of both the teachers and the site administrators emerged and shifted. Throughout the portal design process, I sought continuous feedback from teachers about site functionality, aesthetic, accessibility, and usefulness. In the spirit of action civics pedagogy, which emphasizes experiential learning, stakeholder collaboration, and ongoing reflection, I designed the portal with, rather than for, teachers. I was able to work together with participants in order to tailor the portal content and structure to their needs and goals as users.